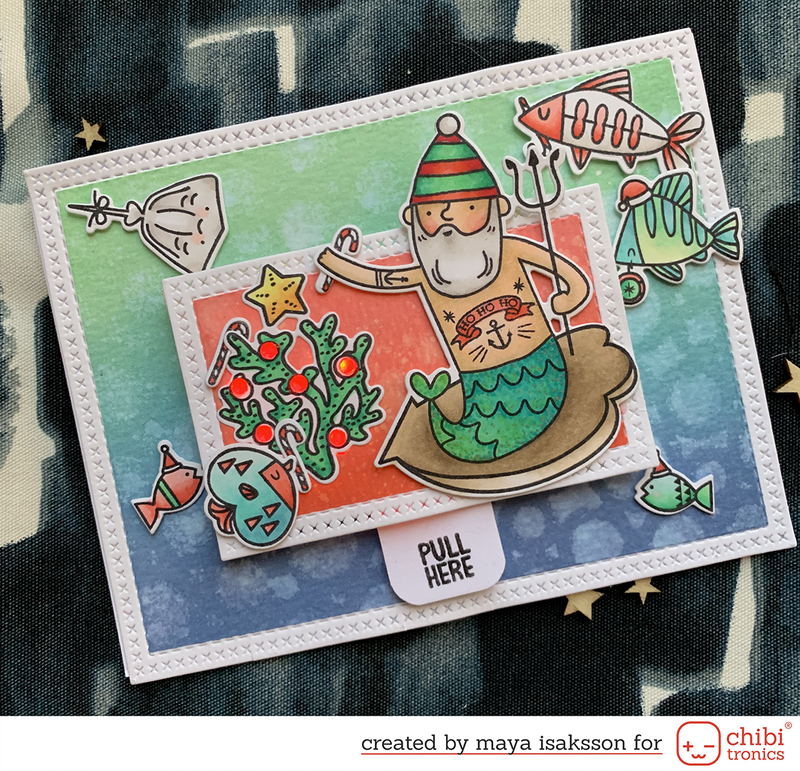 This week I made a tag and a card from the material I got from Pappersbiten.They are genarously sponsoring SWE Scrapbook this month. One of the papers I got had really classy people printed on it. 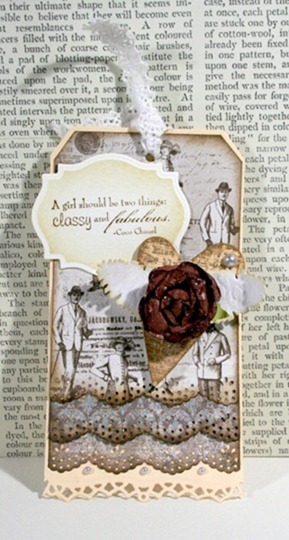 I made a tag using one of my favourite sentiments and some of the beautiful decos I got in my kit. 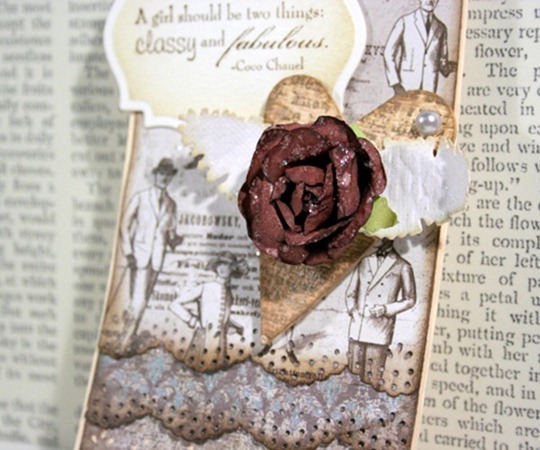 I added some stickles over the whole card to make it sparkle. 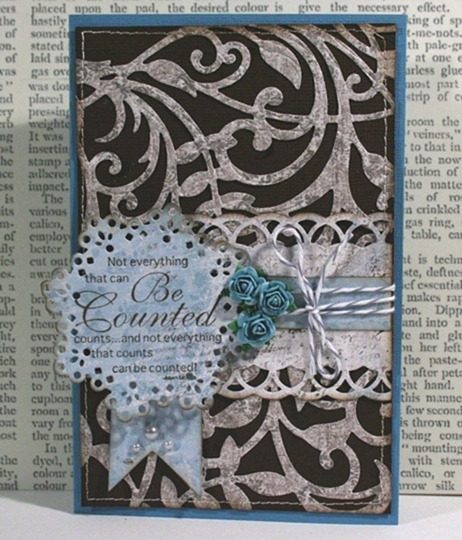 I also made a card using one of the Spellbinders dies I got in my last kit from Hobbyworld. I wanted to try it and it worked great with one of my papers from Pappersbiten.